Our aspen pine cone single sconce is a genuine depiction of a natural theme. 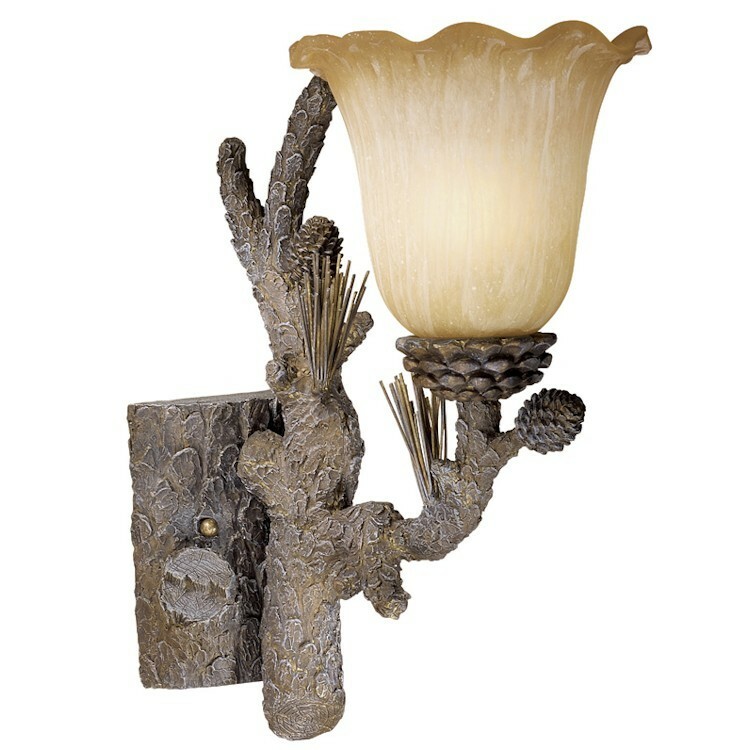 Pine cones and branches with exquisitely crafted texture and realistic color tones is accented with a pine tree finish and brushed amber glass shade. A true complement to your rustic powder room or bath.